Gone are those awful, stressful and miserable times when moving from London to Dublin would have taken a long time and caused you, as the mover a lot of unnecessary hassle and hardship in the process. Moving to a new place is difficult and it requires a lot of planning in order everything to go as well as you would have hoped for. That does not mean that the whole removals process has to be negative and a complete nightmare, as this should be an exciting time for you and if the removals process of moving from London to Dublin is not a happy and positive experience for you then it is a sure bet and a good guess that you have hired the wrong removals company for this task. Hiring our team at Moving Service to carry out your London to Dublin move for you is for sure the better option, especially if you want to have a successful relocation free of hassle, hard work and tears. Moving is generally a time when you may feel anxious about what this exciting new challenge and brand new chapter in your life will bring you and can also be a time when emotions run high as a result in you probably having to say a long-term or temporary goodbye to your family, friends and other people who are close to you. When all of this is up in the air the last thing that you want or need is for there to be yet more problems ahead in terms of the removals process. Our company us fully aware of the situations that many of our domestic and commercial movers find themselves which is why we strive to eliminate any additional unneeded hassles by helping you to relocate in an orderly and organised fashion. Give us a call at any time on 020 8746 4402 and see how we can help you now. 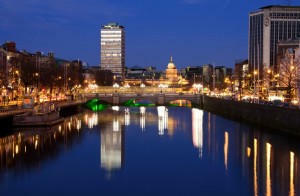 Dublin is the capital city of Southern Ireland and is one of the country’s largest cities. Dublin is a very popular place to visit amongst tourists from within the United Kingdom and from further afield. 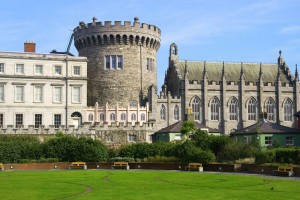 Southern Ireland’s capital city, Dublin, is the most populated city in Southern Ireland and is one of the most developed cities in the country. The city of Dublin, due to the fact that it is a city within Southern Ireland, uses the Euro as its main currency as of course, Southern Ireland is not a part of the United Kingdom and therefore does not use the same currency (GBP) like the other countries which are a part of the island of Great Britain. Dublin has really developed over the years and developed the most during the 17th century when it expanded rapidly and created new work prospects. Some of the famous landmarks and popular places to visit in Dublin include: the Samuel Beckett Bridge, the Convention Centre Dublin, Trinity College and the Custom House. If you are moving from London to Dublin any time soon then pick the right company, have a great moving experience and pay a much smaller overall cost for your removal services by hiring Moving Service. This can all be arranged to fit nicely and easily around your time frame when you call our team on 020 8746 4402 at any time that you like.